Frogleys Offshore strongly support grassroots initiatives. It’s how we started, and what we built our business on. We began sponsoring tournament anglers back when tournaments first began in the fledgling bream and bass tournament circuits. From there, we’ve grown our Pro Team to include exceptional general anglers, journalists and others who share our vision to create the finest fishing tackle available in Australia. The secret in any partnership is fostering an environment that is mutually beneficial and provides growth for both parties. 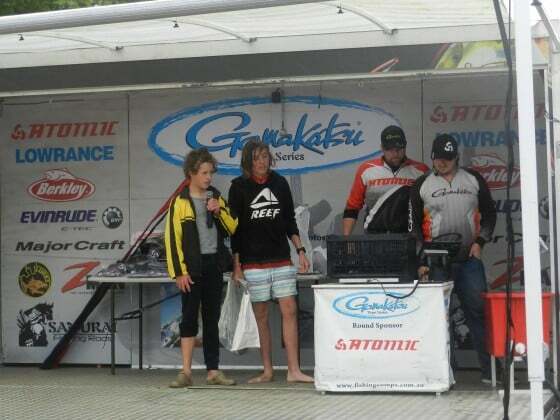 We like to encourage our Pro Team to be the best anglers they can. Gaining sponsorship is not for the faint hearted. It isn’t simply just going fishing. It involves time and effort via either tournament attendances, providing images and stories of captures made with our products, attending tackle store talks to spread the word about our products and any other opportunities you see to promote the products you use. Having a Facebook page or Instagram account is not enough but essential to help spread the word. If you are serious about applying for sponsorship, browse our website, learn about our products and if you’re still keen, fill in the form below for review. We will respond to every application as soon as we can, don’t worry your application is not forgotten we will review every one, we are always looking out for the next generation of anglers for our Pro Team. Have you written any articles that were published in magazines before? If yes, which ones? Tell us what makes you a great fit for Frogley’s Offshore. Include any relevant information and achievements that will make your application stand out.